The Dzherelo Children’s Rehabilitation Centre provides a comprehensive program of educational and rehabilitation services to children and youth with cerebral palsy, Down syndrome, autism spectrum disorder, attention deficit hyperactivity disorder, and other developmental disabilities. Created as an alternative to the state-run institutions, or "internats", and operating as a charitable non-profit facility, the Centre is a pioneer and model in its field not only in the city of Lviv, but in all of Ukraine. Dzherelo is helping to build an inclusive society that welcomes people with special needs, respects their dignity and rights, appreciates their unique gifts, and provides them with opportunities to realize their full potential. Click here to learn about the educational and rehabilitaion programs offered at the Dzherelo Centere. Physical and psychological rehabilitation services are provided during individual and group sessions. “Early Intervention” (0-4 years) offers assesment and implementation of a comprehensive rehabilitation program by an integrated team of qualified specialists. Families receive guidance and much needed psychological support. 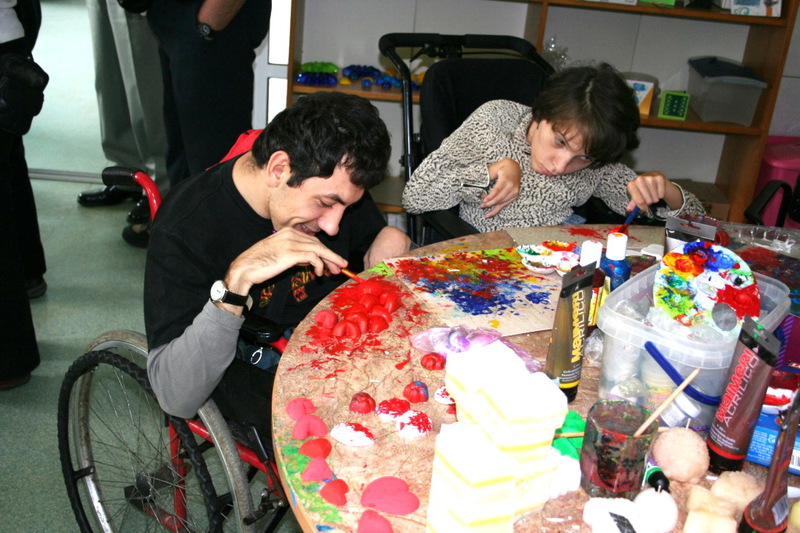 Daily activities are conducted according to an individualized learning plan in a fully accessible environment. 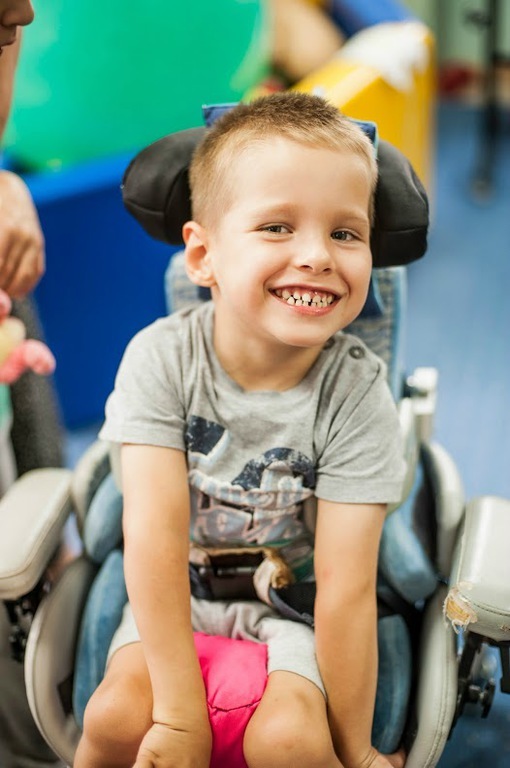 Children receive psychological support, speech therapy, access to alternative methods of communication, physical therapy, equine therapy, hydrotherapy and participate in cultural and recreational activities. The program also prepares children for inclusion into the regular school system. Young people participate actively in programs promoting life-skills and social adaptation, creative expression and vocational training. In a friendly, nurturing environment, youth are encouraged to develop their hidden talents and grow in confidence and self-esteem. Excursions, nature walks, themed celebrations and social events are also a part of the program. Become a Friend of Dzherelo! To make an online donation please click here and in the comments box please specify "for Dzherelo". 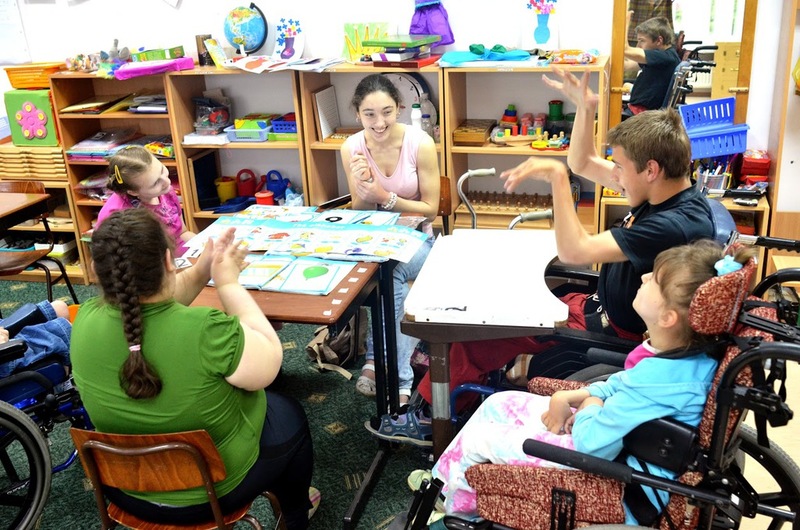 Thank you for supporting children with special needs in Ukraine. 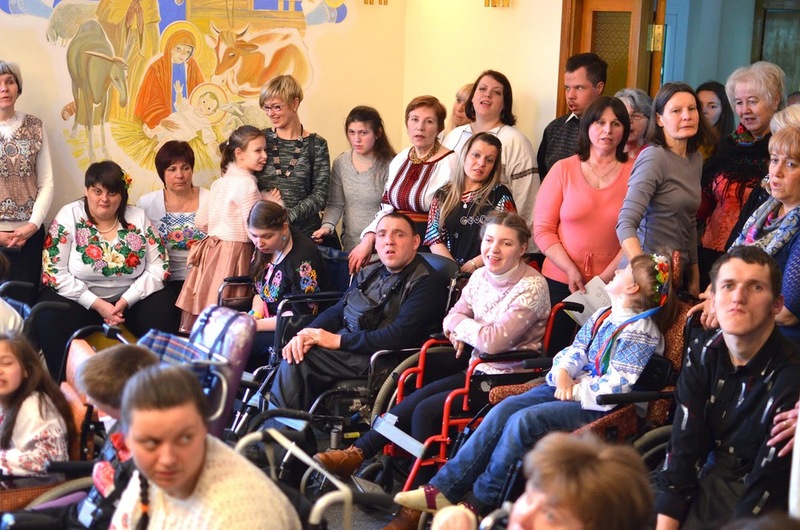 The Dzherelo Children’s Rehabilitation Centre, a charitable organization in Lviv, Ukraine, was founded in 1993 by parents of the Nadiya Association together with volunteers from Canada. In 2008, the Lviv City government established the Lviv Municipal Rehabilitation Centre at Dzherelo. Over the last 22 years Dzherelo has provided services to over 5,000 children and youth with special needs. The Centre has become a model for the establishment of similar institutions in other cities of Ukraine. The facility was built and equipped according to European accessibility standards thanks to the generosity of international donors.